Blogging to me is a means to have my say on different issues. I became a part of blogging world around 2 years ago, 22 months to be exact. I had been noticing and reading about this Liebster Award, but never had any intentions of getting nominated for the same. Or may be, I had a misconception that it is meant for established celebrity bloggers. I didn't pay much heed to it. Ghazala has asked me to answer her random questions about myself and here I go about it.. The title of my blog was suggested by my husband. I wanted something different than stereotype and I found it quite meaningful as per my philosophy of life. So I immediately finalized the same. Starting a blog had been a secret wish since long, but frankly I didn't have the courage to take the initiative. Moreover, I didn't find myself suited for the genre. But one fine day, during my winter break from work, I just expressed my thoughts to my husband and it simply kick-started. There were no reasons behind my wish, just felt inspired from what others used to write. 3. What are your three must have beauty products ? Nice, bold lipcolors are my favs. Other than that a good quality emollient is a must have beauty product and then come Nailpaints. 4. Which is your favourite cosmetic brand and why? Frankly can't choose one. There are few brands whose cosmetics I love more than others like Avon, Maybelline, Soultree, Colorbar etc. 5. Which is your favourite Holiday destination? Dalhousie, that is the paradise on Earth. You won't find a moment when you don't want to capture its beauty. 6. Home made food or Restaurant food ? and why ? A mix of both. I love Restaurant food/snacks atleast once a week preferably on weekends. Because other than those leisurely days, homemade food is the only choice. 7. What is your Stress-Buster? Some good music and a conversation with mom/sis. 8. How has blogging helped you to grow as a person ? Blogging has given boost to my self-esteem. I feel myself worth of something (may be its not upto others' expectation till date), but there is a positivism in me. My communication skills are greatly polished as well. 9. Favourite Website ? and Why? 10. Favourite Online store ? Amazon.com for its wide variety. 11. What did you like most about my (Ghazala's) blog( If anything) ? I like your enthusiasm of writing on everything you feel. Thank the person who nominated you and comment on their blog. 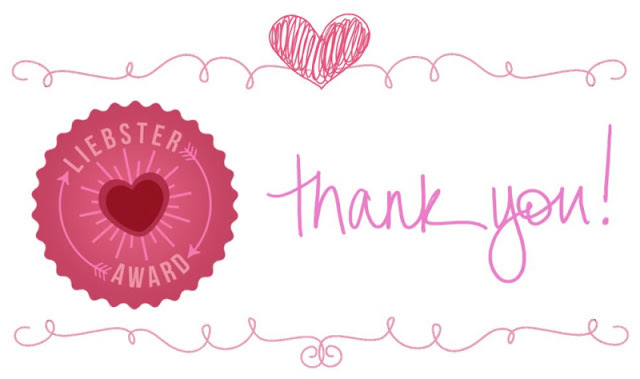 Nominate 11 bloggers that you think deserve the award and notify them. Answer the 11 questions you’re given and give 10 more for the bloggers you nominate to answer. Make a copy of rules in your post. Who has been your motivation in the blogging world? On which social platform can we find you most active? Define yourself as a person in one sentence. What is your unfulfilled dream till date? What is the most important thing you learnt from blogging? Which kind of attire you prefer in daily routine? Did you ever have any unpleasant experience related to blogging? If yes, brief about it. Whoa ! Congrats Shilpa !! Must say you deserve it. Hope your support will take me higher Aishwarya :) Thnx for wishes !! Nice post Shilpa , was waiting to read your answers.Amazon.in and Glamrs.com are also my favourites . I think this award is more about spreading happiness to other bloggers , I was super excited when my blog got nominated as I am a newbie in this blogging world. Congrats Shilpa! Your blog is so so so cute! I LOVE it!!! You totally deserve it! thank you for the tag honey !